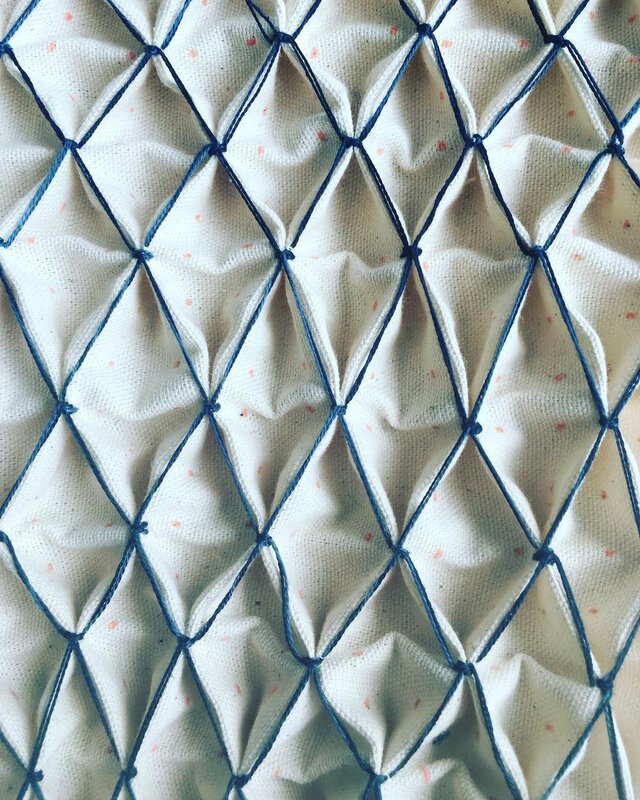 Designer Annie Coggan will share her historical research conducted this summer at BLUE: The TATTER Textile Library, along with her method of visual scholarship and brand of “hand-making history” that has led her to create a smocked homage armchair for use in the library. 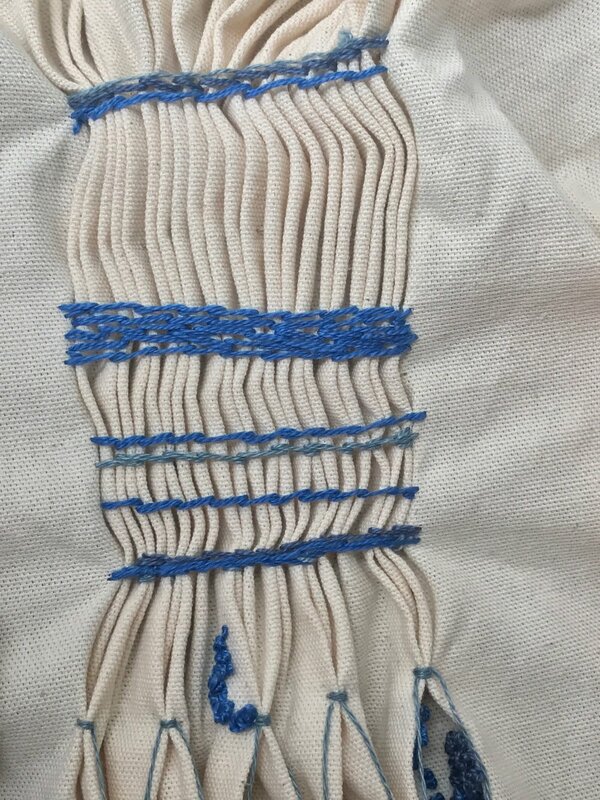 The evening will include Coggan’s insights on the history of this technique as well as a hands-on workshop examining smocking techniques and modernist experiments in the world of three-dimensional embroidery. Master of Architecture from the Southern California Institute of Architecture (SCI-Arc), Los Angeles CA. She currently is on the faculty at Pratt Institute, The School of Visual Arts and Parsons/The New School. Her work has been exhibited at A D/B Project Space (Brooklyn), Gestarc Gallery (Brooklyn), Barbara Toll Fine Arts (Manhattan), the Textile Arts Center (Brooklyn), Mississippi State CAAD Visual Arts Center, Hartford School of Art and Jackson State University. She has been featured in Furniture A+D, Journal of Architectural Education, design*sponge and Remodelista, as well being contributing editor for the literary journal A Public Space, and a book reviewer for The Center for Architecture and Interiors Journal. Coggan runs a parallel practice of visual scholarship focusing on fabricating furniture as a mechanism for storytelling and experimental textiles as soft construction within a historical context.